History of Fun Stuff to Go! The Deep Dish on Pizza! ; The Scoop on Ice Cream! ; The Tricks and Treats of Halloween! ; The Sweet Story of Hot Chocolate! ; The High Score and Lowdown on Video Games! ; The Explosive Story of Fireworks! 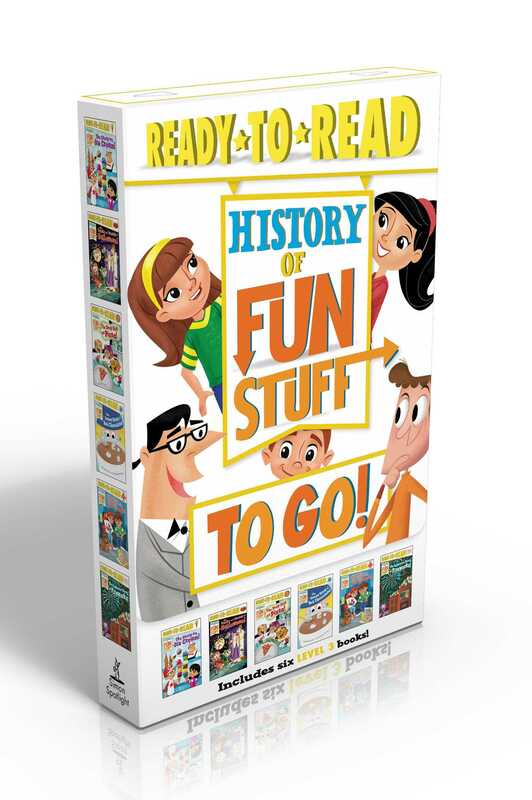 Become an expert on your favorite holidays, treats, games, and traditions in this fact-tastic boxed set of six nonfiction Level 3 Ready-to-Read books that are part of a series about the history of fun stuff! Full of engaging stories and quirky facts, this incredible History of Fun Stuff collection will teach you everything you want to know about pizza, Halloween, ice cream, fireworks, hot chocolate, and video games! A special section at the back of each book includes Common Core–vetted extras on subjects like science, social studies, geography, and math, and there’s even fun quizzes so readers can test themselves to see what they’ve learned! Learning history has never been so much fun! Included in this History of Fun Stuff boxed set are The Deep Dish on Pizza! ; The Scoop on Ice Cream! ; The Tricks and Treats of Halloween! ; The Sweet Story of Hot Chocolate! ; The High Score and Lowdown on Video Games! ; and The Explosive Story of Fireworks! Book Cover Image (jpg): History of Fun Stuff to Go!